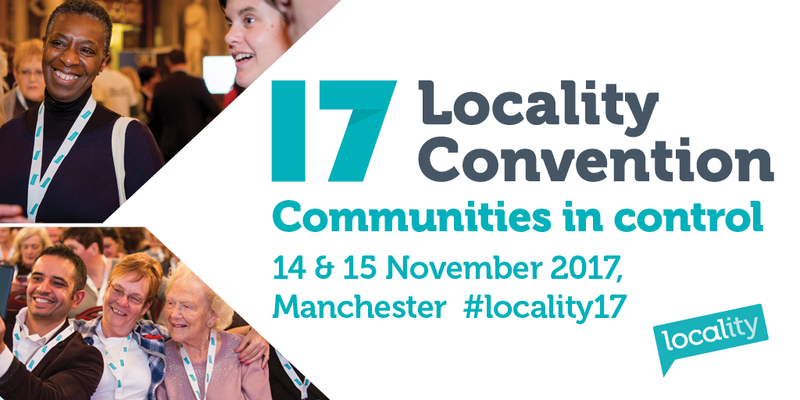 Locality Convention ’17 is an exciting two day event bringing together hundreds of people from across the country involved in helping their local communities to thrive. This year is all about putting the power back into the hands of the community! If you care about your community, want to learn from and meet others from across the country who are doing amazing things in their community, this is the event for you. This year it’s all about putting power back in the hands of the community! What will communities look like in 2025? Find out what a thriving community will look like in 2025, and how you should prepare. Join a debate with Matt Leach CEO of Local Trust and Julia Unwin, former CEO of Joseph Rowntree Foundation and lead of the Civil Society Futures Enquiry. Stretford Public Hall – the community raised over £250,000 through a community share offer to transform this beautiful victorian ballroom into a dynamic space for the arts, work and leisure including workspaces start-ups and artists’ studios. Salford Lads club – now a major tourist attraction, once an Edwardian world of concert halls, billiard rooms and sports gyms it continues to provide opportunities for local young people in sports and the arts (claim to fame –it featured on the inside sleeve of The Smiths LP ‘The Queen it Dead’! Bringing communities together through dance! Choreographer and Director Steve Elias is passionate about putting people in control, helping to build confidence and celebrate shared identity. For the BBC series ‘Our Dancing Town’, he organised a huge dance in the street and he’ll be at convention to keep us on our toes. Join hundreds of inspirational people who are changing their spaces and places to make communities the vibrant places local people want them to be! Don’t miss the chance to get your early bird ticket to Locality Convention ’17 – book before 31 August to get 20% off regular prices. As a Spacehive subscriber, we’re excited to be able to offer you a discounted ticket to the event. All you have to do is use the code PARSPHI17 when you book your ticket! Please do not share this discount code with anyone else. We hope to see you there – Book your Early Bird ticket at locality.org.uk before 31 August and get the best price possible!